Academic syllabus is provided by Cambridge International Primary Programme (CIPP) of the Cambridge International Examinations (CIE, Cambridge Board). Our curriculum helps the students to correlate the learning outcome to the real life. We also focus on improving self-study skills, as it is an essential tool for effective learning. Learning the concepts through activities, projects, and worksheets is an important aspect of our method in teaching for primary level. The English curriculum has been divided into four main areas. 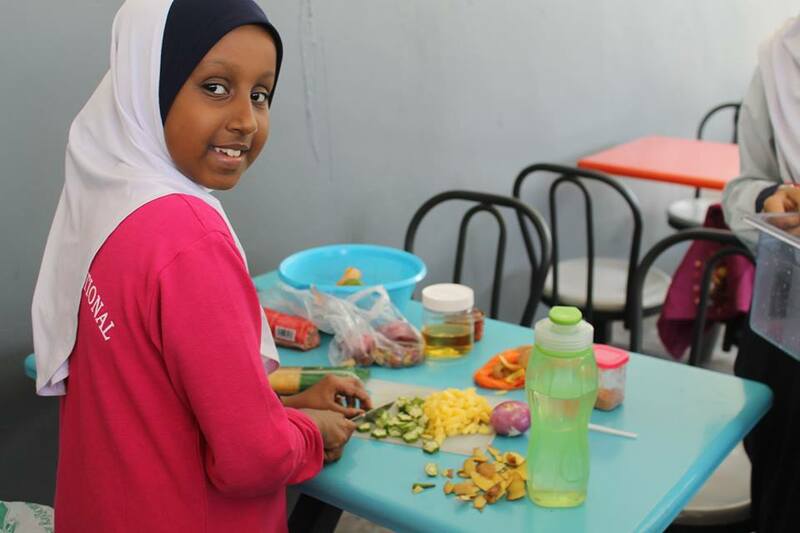 Baseerah teaches Math in a way that equips them with skills that help them in their practical lives. We concentrate on experimentation to teach Science to realise the interrelationship between Science and the real world. Students spend a good amount of time in our labs to test out and connect between labs and the real world. IT Curriculum is built on the importance of computer in our lives; students are trained to use the computer for useful purposes and not for entertainment. We teach basic programming and by the end of the primary school years, the child learns to use computers in data processing, use basic programs, make presentations, use design software and surf the internet in the appropriate way to find the best material for his work. Baseerah has a qualified teacher who runs the well-equipped computer lab and guides the students. Each student has to spend a certain time to play sports and do physical activity. At our primary school, we introduce various sports to students and develop their physical strengths. Besides, we try to discover their talents and hobbies in different kinds of sports under the eyes of our PE teacher. The art activities are designed to inculcate the sense of art using different formats. The Art teachers are talented teachers who use practical ways in guiding the students in creating and expressing themselves artistically according to the Islamic perspective. Baseerah uses a lot of technological aspects in the school, like projectors and PCs in most classes. More in the line-up to come in the future.